A bug flew into his a*s and he quickly became angry frog (aka ‘wtf’ frog) I’m trying not to, but dragon influences are starting to seep their way into this design. I like where he is going. 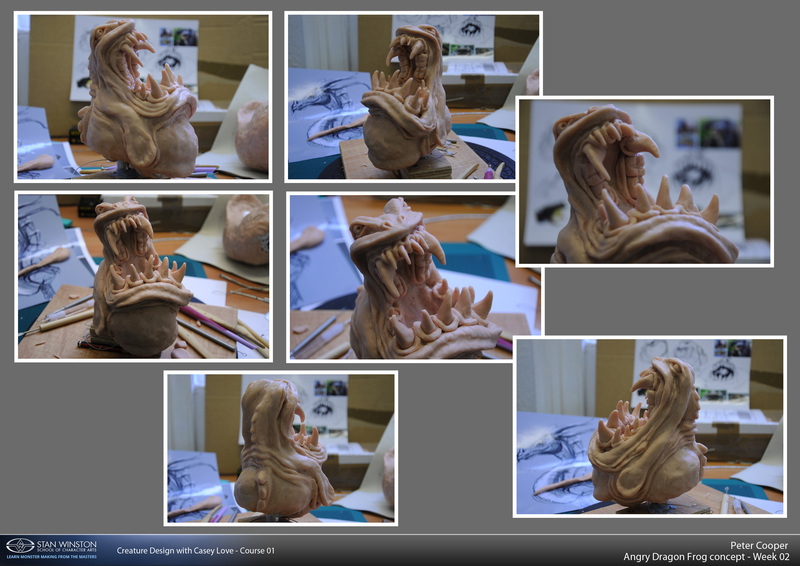 He’s rough with most of the major forms in place, bar is tongue! 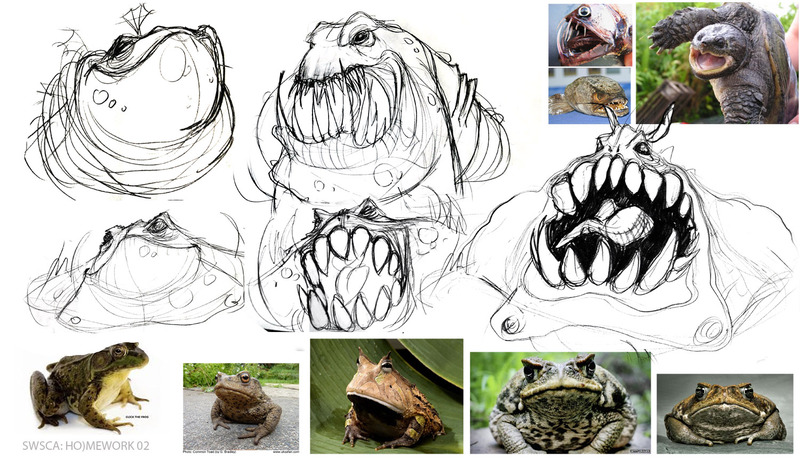 I’ve utilized toad and frog anatomy for the most part. I’ve tried to keep him as dynamic as possible for now. He’s come on well considering the original drawing ideas. I would have liked to have gone more ‘horror’ on this one, but I think he’s going into comedy territory slightly.